You need a blazing fast website. 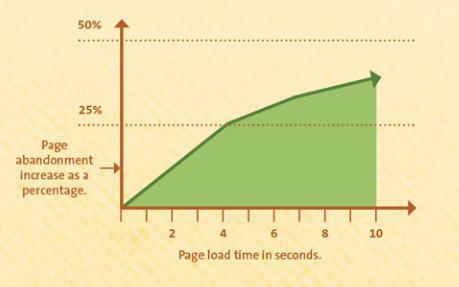 You know all the stats about how people want sites to load in 2 seconds or less. If it takes too long, users will leave in droves, driving up your bounce rate. And high bounce rates will make your Google rank drop like a stone. Not cool. 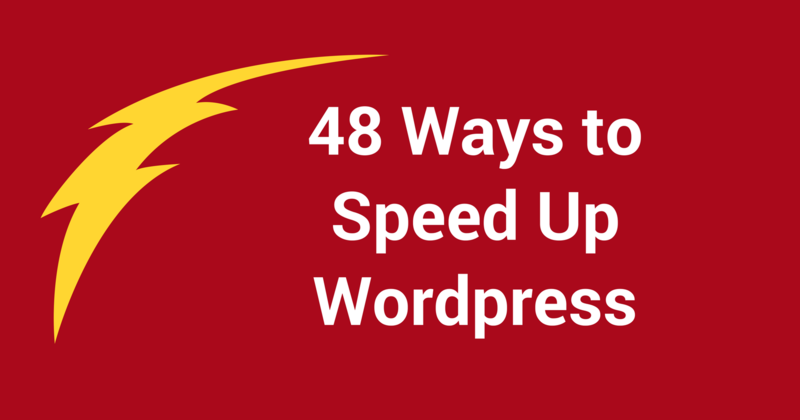 But how do you speed up your site? And how do you speed it up if it’s a WordPress site? Isn’t WordPress synonymous with slow, bloated, and insecure as heck? It is… but it’s not all WordPress’ fault. As a blogger or web developer, there’s actually a lot that you can do to get your site loading fast. I scoured the web and combined my own knowledge with the research I found to bring you a mega list of almost 50 tips. You can implement many of these without needing much or any coding ability. At the end there are some more advanced ones that require dealing with coding and server settings. This is probably the single most important factor– make sure you have a good web host and the right plan. Your server has a huge effect on your site speed– it’s the foundation that everything else sits on. 1. Know the limits of shared servers. They’re cheap and good to start out on, but just like sharing refrigerator space with roommates, sometimes they’ll take your stuff (or vice versa). Because all the server tenants share resources, things like uptime and site speed can suffer if there’s a resource hog or two. 2. Make sure you have enough CPUs (central processing units) and RAM (random access memory). The cheaper plans have fewer of both of these, and the more expensive ones will have more. It’s the difference between driving on the highway in a minivan full of soccer players versus zooming around in a supercharged Corvette. 3. Check your site speed using any of the following tools: Pingdom, Google PageSpeed Insights, or GTmetrix. If using Pingdom, select a server where most of your audience is to get an accurate read. One thing to keep in mind, especially with Google PageSpeed, is that it’s difficult to get a perfect 100 score. Just do what you can to reduce your load time and try to hit that 2 second mark. 5. Check TTFB (time to first byte). It should be less than 500ms at most. This is one of the factors that will differentiate slower shared servers with the faster dedicted or semi-dedicated ones. — tip from Sparring Mind and WP Beginner. 6. Show excerpts instead of full posts on your homepage. 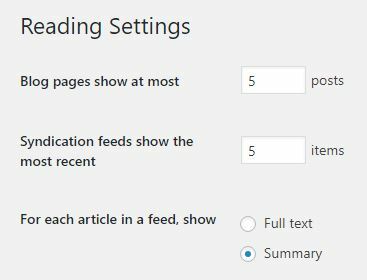 In Settings > Reading, select “Summary” for what to show for each article. 7. Limit the # of posts displayed on the homepage. In Settings > Reading, set it to definitely less than 10 posts, and preferably 5 or so. 8. If you have a lot of comments, set WordPress Discussion settings to use the “Break comments into pages” option. 9. Turn off pingbacks and trackbacks in WordPress Settings > Discussion. They started out as a cool way to connect, but are just a method of spamming nowadays. 10. Set Gravatar to blank or Mystery Man, or even better, uncheck the Show Avatars checkbox. You don’t really need those, right? 11. Keep your WordPress core, theme, and plugins up to date. That will ensure that you get any new features that will increase performance of your site. This is also one of the best ways to keep your site secure. 12. Find a good theme or framework. Run the demo page through a speed test, and check reviews and responsiveness of authors. 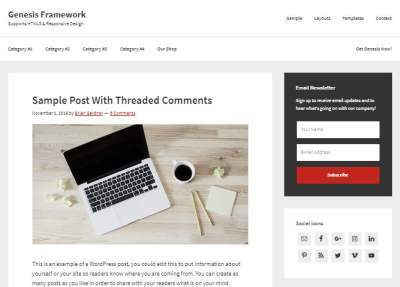 Some popular frameworks are Genesis by StudioPress, Divi, and X Theme. 13. Be very selective about the number of plugins that you install. In general, the more plugins you have, the bigger the load on your server. 15. Deactivate and delete any plugins if you stop using them. This will ensure that your website doesn’t load code that it’s not using anymore. 16. In addition, go through each of your plugins that you are using, and disable any settings that you don’t really need. 17. Identify slow plugins using GTmetrix. In the waterfall tab, slow plugins will show up multiple times and have a long load time. 19. 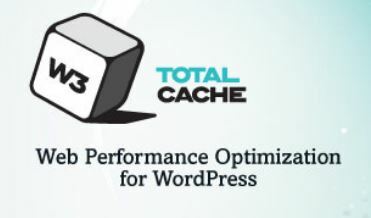 Cache your site content with a plugin like WP Super Cache, W3 Total Cache, or WP Rocket. Also use in conjunction with a CDN (content delivery network) for the maximum benefit. — tip from Bloggers Passion and WP Dev Shed. 20. Use WP Disable to easily turn off certain features in WordPress that can weigh down your website, like emojis, gravatars, etc. WP Disable lets you control a lot of settings that you otherwise would need to manually edit your files to change. 21. Optimize your WordPress database with a plugin like WP-Optimize or WP Sweep. 22. 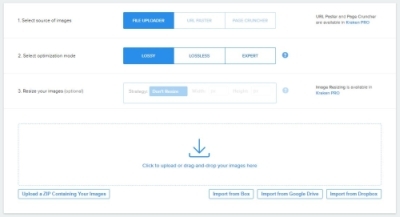 Slider or slideshow plugins are very commonly used, but can add to your loading time. If you do use one, make sure you use a fast WordPress slider. 23. Also use a fast photo gallery plugin if you have a portfolio site. WP Beginner recommends Envira Gallery. 25. Use the AMP plugin to use Google to load their version of your website for mobile users. It will prioritize readability and load time, so your design will be simplified, sometimes quite drastically. Online Media Masters has some good tips on how to test and get this working. 26. Use GTmetrix to determine the actual image size you need images to be, so your site isn’t loading and resizing an image that’s bigger than it needs to be. Then you can resize the images using one of the plugins in the next step. Just make sure to backup your images first in case something goes wrong. 27. Optimize and size images to not be too big. You can use plugins to resize and optimize. Just backup first before affecting any of your media items, and be careful to use the correct settings. I used Kraken.io to optimize all the images in this post! 29. Use JPGs for most of your images since they are compressed and will have a smaller filesize. Use PNGs if you need transparent backgrounds, and GIFs for animated images. 30. Instead of regular photos, if you use illustrations like text on designed backgrounds, you will save space because illustrations are a lot smaller files than photos. Even if you’re not a designer, you can make your own using free tools like Canva. 32. Use a CDN like Cloudflare or MaxCDN for serving up assets like images; this decreases load on your web server. A lot of web hosts integrate with Cloudflare, for example, and make it relatively easy to set up. 33. Use lazy loading for images and iframes (YouTube embeds, for example), either in your theme or via a plugin. This will only load those assets that you can see in the viewport, and load later ones as the user scrolls down. 34. Embed YouTube videos, don’t host upload the video files to your WordPress site. Video files are ginormous, and you definitely don’t want to be loading those from your server. 35. Minimize the number of revisions kept saved for posts. You can set the actual number of revisions to save in your wp-config file (Note: this is also handled by the WP Disable plugin). 36. Edit your PHP files instead of pinging the server for simple things, like loading Google Analytics, and loading menu and social media links. You can also replace PHP functions like bloginfo() with their actual value. Just make sure to make these changes in a child theme so they don’t get overwritten when you update. 40. Only load scripts on the pages that they are actually used. For example, disable the contact form plugin so that it only gets loaded on the actual contact form page, not other pages. 42. Make sure your server has enough resources to handle your site traffic. Generally it’s best to only run one website per server, unless you have a high powered server. 43. Make sure your server is located in the part of the world or country where most of your visitors live. The closer to the server your users are located geographically, the faster they will be able to load the site. 44. Use PHP 7, as it is super fast compared to older versions of PHP. However, PLEASE first check that your site will be compatible! You can run a PHP Compatibility Checker, but this isn’t 100% accurate. Ultimately, you will likely have to work with your host to test out PHP 7 first. 45. Disable other sites from directly loading your images, also known as hotlinking, by editing your htaccess file. 46. Set an expires header in your server config file for static assets (images, scripts, stylesheets). This tells the browser to cache these files and not fetch them from the server for the time period that you specify. 47. 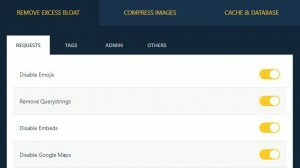 Enable Gzip or http compression on your server’s htaccess file. Sidenote: the caching plugins W3 Total Cache, WP Rocket, and WP Super Cache have similar functionality, so you can achieve this via one of those plugins.